Turns out the next big thing in leadership insight has four legs and a wet nose. Business leaders today are on a quest, looking for ways to help their employees—and themselves—achieve their potential and propel the enterprise to greatness. They’re looking for ways to get a leg up on the competition. What can business professionals possibly learn from dogs about leadership? As it turns out, a lot. The Fido Factor reveals the leadership traits canines embody – and shows how to unleash your inner leader of the pack. The Fido Factor is a groundbreaking take on success that will get you barking up the right tree. It goes where no business book has gone before. That’s because dogs exude a leadership genius that can only come from domesticated quadrupeds with expressive tails. The Fido Factor’s core message is that dogs can motivate each of us to become a more effective leader at work. This isn’t a cute little book about puppies, and it won’t teach you how to beg. It’s a roadmap to leadership success with dogs as your guide. So, unleash yourself. Learn some new tricks. And dog-ear the pages that will help you and your company bound boldly into the future. 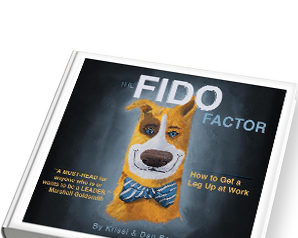 "The Fido Factor is a must-read for anyone who is or wants to be a leader. If you happen to be a dog lover, you do not want to miss this book!" "The unexpected combination of dogs and business leadership makes this one of the most enjoyable - and insightful - books I've read in a long time." "Who knew that you can boil down the secrets of being a great leader into our relationship with our canine friends? The Fido Factor is quick read, broken into bite-sized pieces, with wisdom for the aspiring or seasoned leader on every page. Well worth the read." "FIDO will reenergize you with some doggone smart advice. 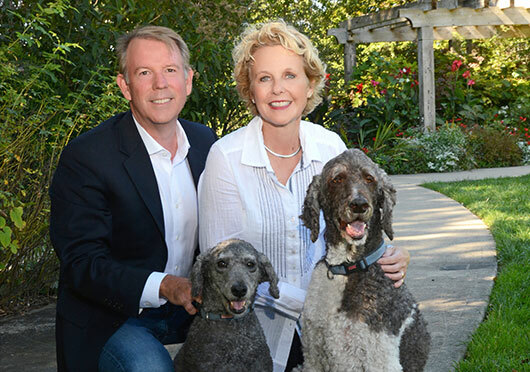 Krissi and Dan Barr have captured the wisdom of dogs to get careers and businesses growing. Didn’t we secretly always know that dogs were smarter than us? FIDO proves it!" Dan is an accomplished sales & marketing executive and entrepreneur. He is Chief Operating Officer at Barr Corporate Success. Are you and your team fetching better results with FIDO? “Clearly written, well organized, beautifully illustrated and chock-full of useful and thoughtful leadership wisdom and advice. Creative canine stories reinforce the four FIDO leadership factors (Faithful + Inspirational + Determined + Observant). You're going to have a doggone good time reading this book! 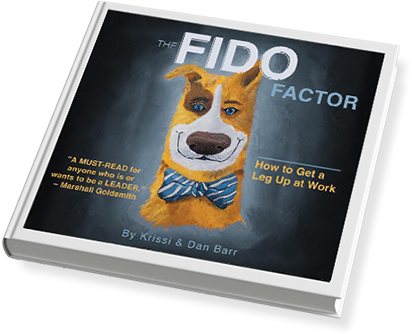 Encourage your entire team to read "The Fido Factor" and help your team to get a leg up at work! Kudos to Krissi & Dan Barr for writing this easy-to-read yet practical book on leadership and business success! Highly recommend! -Grillin Out”- Highly recommend! Mark Anderson knows a thing or two about leadership. As President of ExecuNet, a global network made up of over 750,000 CEOs and VPs, his company provides both leadership advice and career assistance to business leaders all over the world. Which explains our excitement when we read Mark’s glowing review of The Fido Factor. Click here to read his complete review of The Fido Factor! 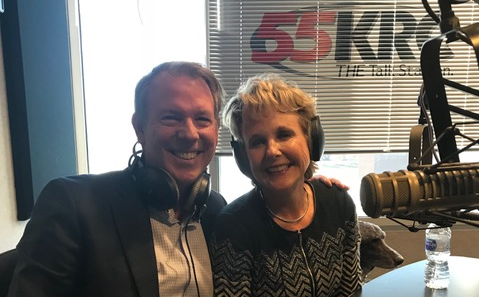 The Fido Factor authors Krissi and Dan Barr were the featured guests on the American Dreamers radio show! 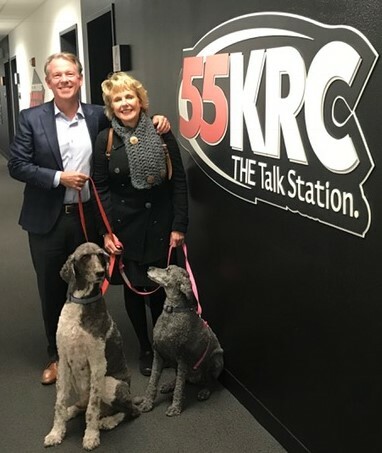 To make sure the hour long program captured the true essence of the motivations behind the book, the authors were joined by their dogs, Kaiser and Clover. The American Dreamers show features small businesses and entrepreneurs who have a story to tell. It is broadcast on WKRC in Cincinnati and available as a download off iTunes. 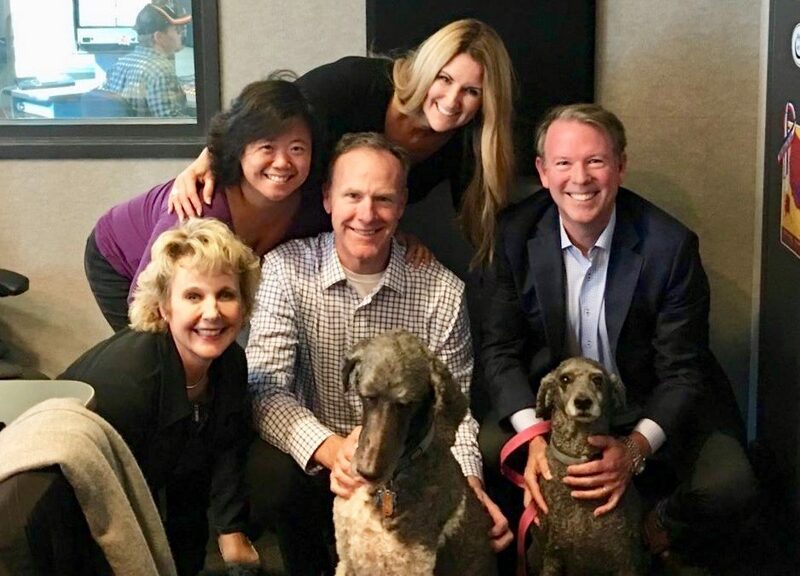 The Fido Factor authors Krissi and Dan Barr with their dogs Kaiser and Clover and the entire American Dreamers crew! Krissi, Dan, Kaiser and Clover Barr outside the studio. The Fido Factor co-author Krissi Barr was referenced in Parade magazine, the largest magazine in America. Parade is inserted in over 700 Sunday newspapers and has a circulation of over 30 million. Click here to see the article in Parade. 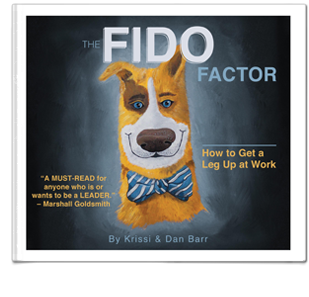 The Fido Factor co-author Krissi Barr’s 277 word editorial on leadership recently ran in America’s largest newspaper, USA TODAY. Published on October 27, her letter focused on this simple advice for President Trump: get a dog. Here’s a link to the full letter in USA TODAY.